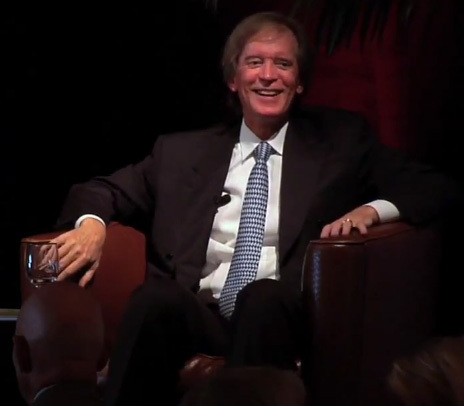 The latest investment outlook from world number one money manager Bill Gross who heads up and founded Pimco with assets that total more than $1 trillion have some stark messages for investors. In the August newsletter – titled 'Cult Figures' – Gross writes "unfair though it may be, an investor should continue to expect an attempted inflationary solution in almost all developed economies over the next few years and even decades"
The problem with all of that of course is that inflation doesn’t create real wealth and it doesn’t fairly distribute its pain and benefits to labor/government/or corporate interests. Financial repression, QEs of all sorts and sizes, and even negative nominal interest rates now experienced in Switzerland and five other Euroland countries may dominate the timescape. The cult of equity may be dying, but the cult of inflation may only have just begun. Ben Bernanke, chairman of the US Federal Reserve is due to provide more clarity about plans to stimulate the US economy on Wednesday and may announce a third round of quantitative easing while the European Central Bank is expected to announce new monetary policy measures on Thursday. Gold bulls believe QE3 and similar stimulus programs in the crisis-ridden Eurozone will restore the yellow metal's status as an inflation hedge and wealth preserver. Flooding markets with cheap money would also hurt the dollar, further boosting the metal's price. Gross's bet on QE3 is huge – his holdings of US mortgage debt, the largest percentage of purchases under QE3, make up more than half his $250 billion Total Return fund. The price of gold had almost doubled on the back of QE1 which kicked off in December 2008, QE2 (first mooted in August 2010) and 'Operation Twist' which was started in September last year and extended to the end of the year. After hitting a high for the year, but failing to scale the $1,800 an ounce bar at the end of February, gold has taken a few hard knocks on the way to its current trading level of either side of $1,600. The spikes downward have all been thanks to actions or pronouncements by the Fed and the fortunes of the precious metal seem increasingly linked to monetary policy in the US. At the same time volatility in the gold price has increased dramatically.